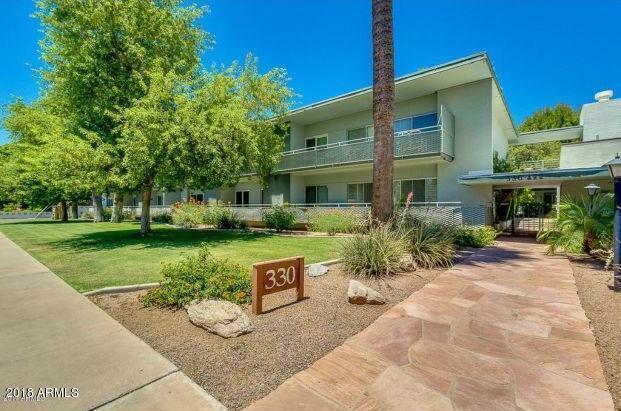 3 bedroom, 2 bath Mid Century Modern gem in the heart of North Central Phoenix! 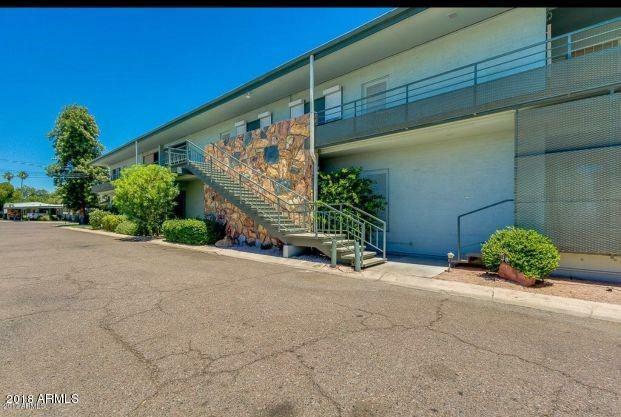 This upstairs unit has dual pane windows, fresh paint and tile floors. Spacious bedrooms and updated baths with granite counters. White eat-in kitchen features granite counters and stainless sink. Open living /dining space with huge picture windows overlooking the lush grounds with 2 pools and clubhouse. 2 covered parking spaces and bike storage.HOA includes property taxes, cable, water, garbage, roof replacement, pest control and common area maintenance.